Headquarters Joint Task Force Marawi, Camp Ranao, Marawi City - July 29, 2017.Senator Manny Pacquiao visited troops in Marawi City today at the headquarters of the 103rd Brigade, Camp Ranao, Marawi City. Wearing his Special Forces uniform, the Senator arrived shortly before 9:00 in the morning via a private helicopter. 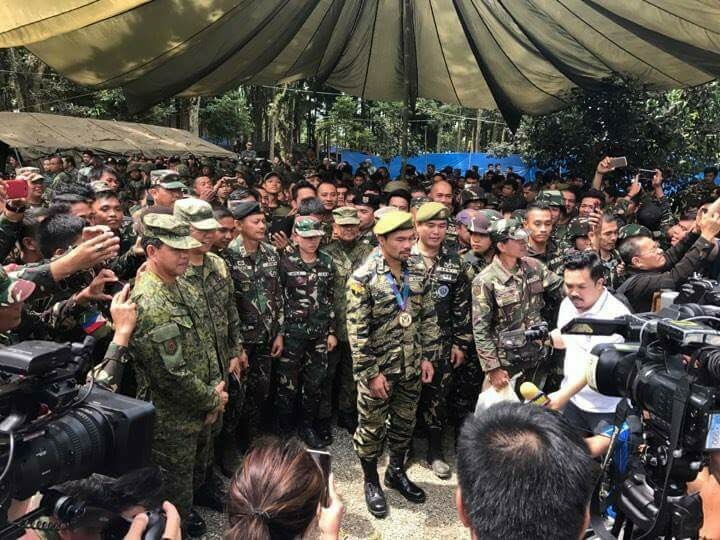 He was greeted upon his arrival by the Ground Commanders, Western Mindanao Command Lieutenant General Carlito G Galvez, Jr, Commander of Joint Task Force Marawi Brigadier General Rolando Joselito Bautista, Commandant of the Philippine Marine Corps Brigadier General Emmanuel B Salamat, Commander of Joint Task Group Ranao BGen Ramiro Rey., and Deputy Commander of the Mechanized Infantry Division BGen Felicisimo Budiongan. 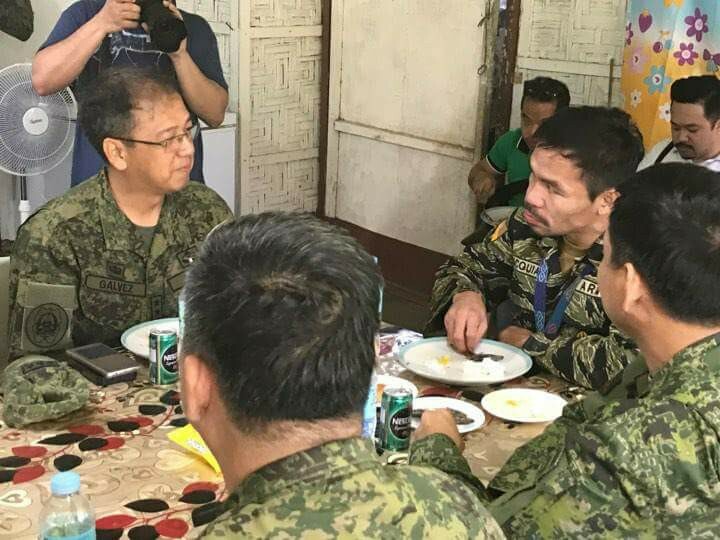 The ground Commanders presented to the senator a short briefing update of the current situation in the besieged City of Marawi as well as the situation and morale of the troops. In his message to the soldiers, Pacman expressed his sadness every time he hears soldiers and policemen dying in the fight. "Gusto kong sumama sa inyo sa labanan, gusto nyo ba 'yun?" he said addressing the troops. 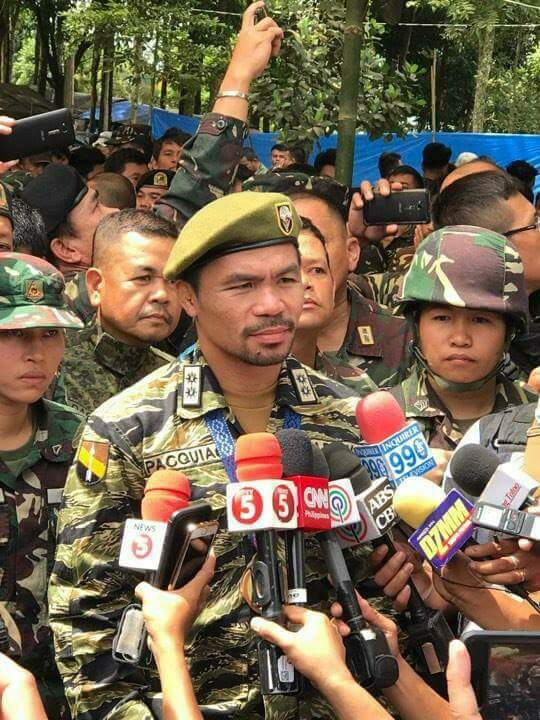 "Huwag kayong sumurrender dahil kumbaga sa boxing, nasa last 3 rounds nalang tayo ngayon at malapit nang matapos," he added. Soldiers who were pulled out of the rear to be present during the visit felt elated for the opportunity to meet the boxing champ. 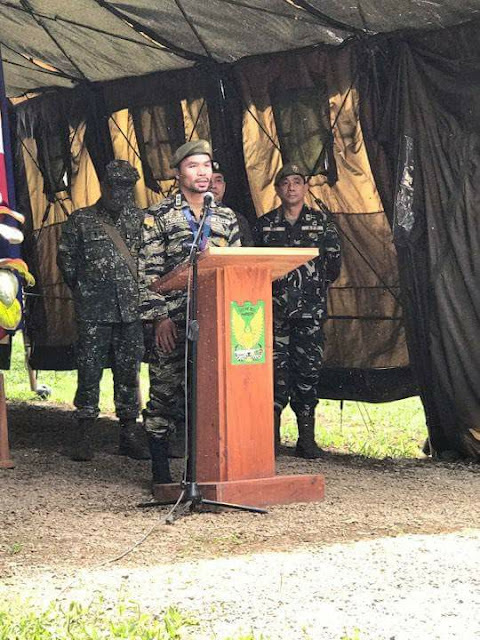 "Masayang masaya po kami na nakita namin ng personal ang aming idol," said TSg Billete of the 103rd Brigade. When asked if the visit bolstered their morale, he said," Oo naman, high morale na high morale kami dahil sa telebisyon lang namin sya nakikita at talagang nagbigay sya ng panahon sa mga sundalong andito sa frontline." The Senator also distributed goods to the troops and vowed to support all their efforts not only as a senator but also as a reservist of the Philippine Army commissioned to the rank of Lieutenant Colonel. "We are happy to have the Senator here with us today. 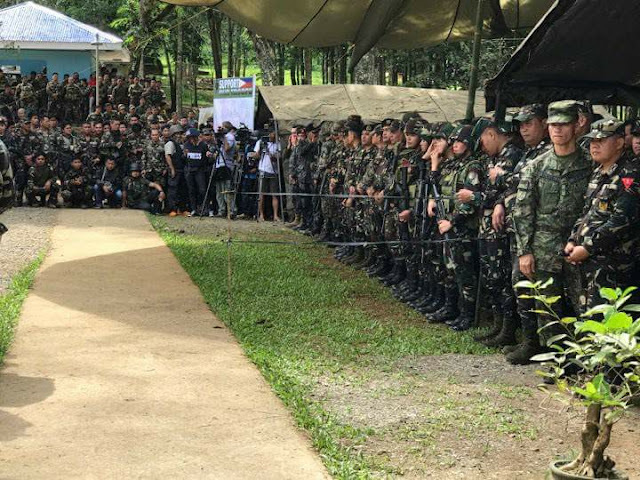 It is indeed quite a privilege," said Lieutenant General Galvez, the WestMinCom Chief. 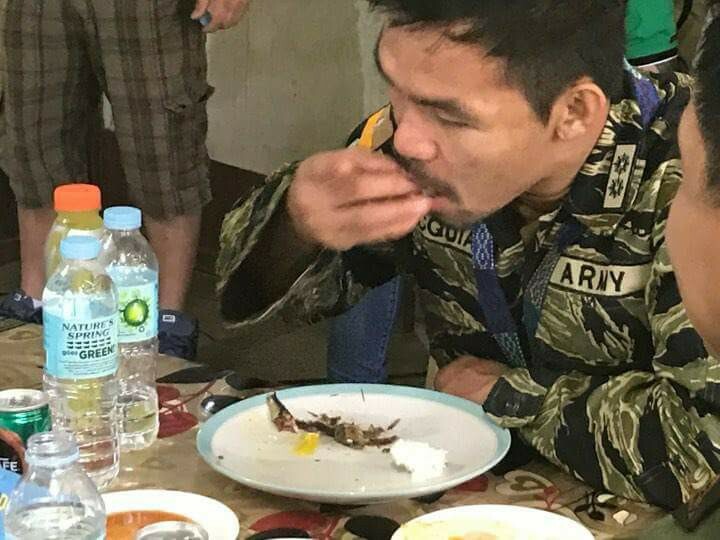 "We know our troops on the ground will surely be in high spirits, knowing that Senator Pacquiao took his time out to come and show support to our troops despite his busy schedule."